In this "touch-screen era," we have significantly fewer face-to-face interactions and our people skills are eroding. Nothing will ever replace looking directly into someone else's eyes and making a genuine connection. The touch-screen era label applies to all generations, not only to a certain age range or generation. While many see younger generations as more techno-savvy, virtually every age group now uses smartphones, Facebook, tablets, and computers--which, when overused, negatively affect human-to-human interaction. In his book Digital Dementia, German neuroscientist Manfred Spitzer wrote, "When you use the computer, you outsource your mental activity." And added, "The more time you spend with screen media... the less your social skills will be." In my understanding, digital dementia is characterized by the deterioration of brain function resulting from the overuse of digital technology. Doctors from South Korea, which has one of the largest digital-using populations in the world, discovered that heavy users of digital devices experience cognitive and memory problems similar to people who had sustained previous brain injuries. Technology now does a great deal of our thinking for us, leaving many young brains underdeveloped and with shorter attention spans. And this affects brains of all ages. If you've ever felt that your memory is getting worse, it may not be your natural aging process. This view is captured by Jim Kwik, an expert in optimal brain performance, who said, "This is the idea that we're outsourcing our brains to our smart devices. We're so reliant on our smartphones that our smartphones are making us stupid." 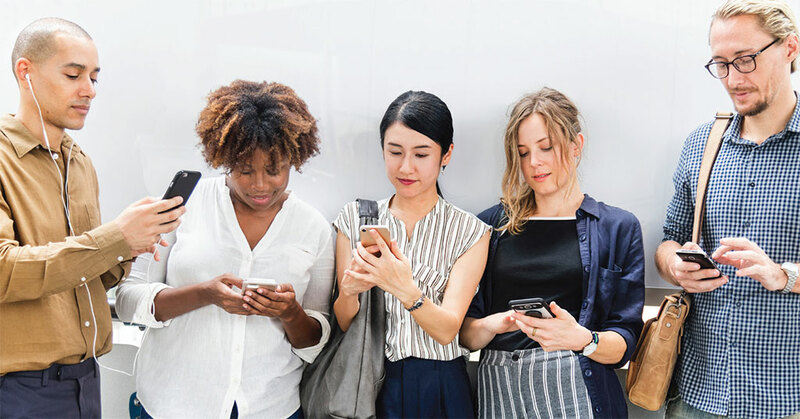 Mental stimulation addiction (MSA) is affecting millions of people who are smartphone junkies, constantly texting, checking Facebook, Twitter, LinkedIn, Instagram, and addicted to a multitude of other social media habits. I admit: I am totally guilty of this. Whenever I have a few minutes of downtime, I start scanning my inbox, texts, and all of my social media accounts. Sadly, I struggle with just sitting still, relaxing, and daydreaming. Manoush Zomorodi shared a great TED Talk titled "How Boredom Can Lead to Your Most Brilliant Ideas." She explored what happens in our minds when we get bored or, more importantly, what happens to us if we never get bored. "It turns out that when you get bored, you ignite a network in your brain called the default mode. So our body goes on autopilot while we're folding the laundry or we're walking to work. But actually, that is when our brain gets really busy," said Zomorodi. The default mode, she said, is "when we connect disparate ideas, we solve some of our most nagging problems, and we do something called autobiographical planning. This is when we look back at our lives. We take note of the big moments. We create a personal narrative. And then we set goals, and we figure out what steps we need to take to reach them. But now we chill out on the couch--also while updating a Google doc or replying to email." Zomorodi held a "Bored and Brilliant" challenge to make times in your day when you unplug from your smartphone and social media. Her results and feedback from the thousands of people who accepted the challenge were incredible, especially from the younger generation. "Some of them told me that they didn't recognize some of the emotions that they felt during challenge week because, if you think about it, if you have never known life without connectivity, you may never have experienced boredom," she said. Further, she said, "Researchers at USC studied teenagers who are on social media while they're talking to their friends or doing homework. They found that 2 years down the road, these teenagers were less creative and imaginative about their own personal futures and about solving societal problems, like violence in their neighborhoods. And we really need this next generation to be able to focus on some big problems: climate change, economic disparity, and massive cultural differences." We have all heard how technology is hurting our social skills. But it is also killing our creativity. Downtime and a relaxed mental state are the best environments for our minds to veer off from stressful thought patterns and venture into the unknown. Think about it--when have you gotten your best ideas? When you daydream. A decrease in creativity is dangerous in our lives, professionally and personally. We need to limit our time on our smartphones, tablets, and social media outlets. We need to make a commitment by actually scheduling downtime on our calendars multiple times a day: early morning, mid-afternoon, and before bed. If you find yourself stale lately, you may be suffering from MSA. We need to protect our peaceful time, let our minds rest, reset, be reinvigorated, rejuvenated, and just daydream. You will be surprised at how stimulated and creative you will become.